My favorite spot this weekend wasn’t a store though – it was a thrift/antique mart like I’ve never seen. A friend told me about it months ago and said we should check it out. We met there Saturday morning and I didn’t have high expectations – I thought it may be fun to browse and be in and out pretty quick. Holy cats. It was so much dang fun. It was at a local conference hall and we were there for hours…I think we finally drove away almost four hours later. We were both in heaven, it was a blast. We were GIDDY. I took some photos along the way so you can see what we were so excited about. Bear with me, they were all cell phone pics and it was crowded, so I couldn’t get great shots. I loved that it was worn and soft – but it was a little too worn (there was a hole in the top). I picked up a couple of them. Once I figure out where they are going I’ll share more about them. So cool! Or with a big round piece of glass on it, and make it into a coffee table? Ack!! It may need to be rewired but that shouldn’t cost too much. It was gorgeous!! I use rosemary to cook and the smell is amazing, so I couldn’t pass this up! I’m a little obsessed with it. I just love the colors and the design. Stunning. I got a few more things I’ll share with you soon, as soon as I figure out what I’m doing with them! So I had no idea this Indie Arts event happens throughout the summer too – I guess nearly every month here in Indy? They have one more indoor date planned for March too! I was thinking it might be fun to get a few of local bloggers/readers together to go to that one! Anyone in? I may try to plan something, stay tuned! Thing is, now we’re in trouble because we know about this awesome mart and it happens more than once a year. Next time I will have to exercise more restraint! Oh goodness. I live near this and will have to take a look! It's nice to meet another Indy blogger! That place looks amazing! WOW! Love this! So happy I read the but wish I didn't! Now I'll have to plan another vaca here!!! That is my kind of shopping! It looks like you had a great time. That brass bowl is beautiful. OMG! I so wished I lived in Indiana today :) Dang it, why don't I own a private jet? In thrifty heaven today from your post, thank you!!!! Holy heck, what great treasures! There's a flea market in our town I'd love to go check out one of these days, but I have a feeling the prices will be ridiculously high here. Wow, thanks for sharing your day with us, I'd love to visit this market on my next trip to Indy. Cheers! Eek! I live in Lafayette and will definitly have to check the next one out! This looks like a treasure trove spot! LOVE it! So fun! This place looks right up my alley. Wish I could have gone with ya, sister! I'm soooo jealous. We have NOTHING like that in my area. Nothing! Of course it probably is best we don't. My hubby already tells me we have so much stuff our house has sunk a few inches. ha! So glad you did post the pic of the frames with the shelves put in them. I have some old frames just languishing in the garage waiting to be made use of. I LOVE that idea, thanks for sharing all the beautiful things! I wish I lived in Indy - I'd be ere in a hot second. So many cute things and I'm in love with that bowl the patter is awesome! Great finds! Were you hiding from Val and me, because we were there too?! And, I can't believe you got the topiary. I was hemming and hawing about it (also the moss stuff she had in the rocks). Didn't end up with it, and went to Lowe's today to try to recreate and couldn't find any of the right stuff. ARGH... would I just buy it when I see it already? Great finds! I wish I lived closer...I'd love to check it out! Man the yard stick table is super cool! I really like that idea. You scored some great items. I try to go every month when they have it (love when it is outside at Glendale Mall - - not so cramped and you can really see the items for sale better, IMO). I had to skip this past Saturday though since we were having new furniture delivered. Hopefully they will announce a Feb/March date soon! I have rosemary topiaries flanking my kitchen window..love them! WOW! I want to go! I'll have to track down the schedule before I plan my next visit to Indy to see my family.Thanks for sharing! I wonder how I would get all the fun things I want back to Washington State without spending a fortune in shipping... Oh, and how does this fit into my new goal to become a "minimalist"?-ha! Oh my goodness...AWESOME!! I'm totally going to the next one! I live in Fort Wayne and my sister lives in Carmel...on Carmel Drive in fact!! Would be such a fun sister thing to do together. I'll have to keep an eye out for the next event. Love what you bought!! Can't wait to see the rest. Thanks so much for sharing!!! Oh, I love the EAT sign! I would have had a hard time passing that up. I love thrifting - thank you for sharing your adventures and finds with us! I live in Dayton - about 2 hours away. I would love to go sometime! Keep us posted! Your finds are wonderful and I love the brass bowl! You had me "Hey all!" Thanks for posting about this! I live at Eagle Creek and this is only 20 minutes away from me! I have been following your blog for a couple of years now and never realized you were in Indy. What's your favorite Goodwills to hit? I find the ones near my MIL in Fishers are where I am the luckiest. Oh and have you been to the Atlanta Festival? I see some pretty cute and thrifty stuff. I told my husband I will never make him go to the State Fair, if I can go to the Atlanta Festival every year. Same food without the heat, and the joy of thrifting! I'd totally be in...I'm in Fort Wayne and would make the trek in a New York Minute. Do plan something....There's a big.fat.zero cool shops up this way. Just this past week, my husband and I found out that our local fairgrounds holds a huge flea market each weekend. We went and had a similar experience to you. It was AMAZING! Lots of unique things to decorate the home. I kept going back to the stands with the painted furniture. So fun! I love! that sofa. Its way too big but looks so comfy and i adore the lines of it. Too bad I live over 1000 miles away. And that green table in the pic below it is gorgeous. Your fold up basket is the find! It is so cool. I envy the fun of it all. 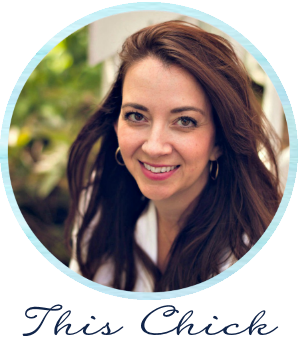 It's almost freaky how every time I check your blog, I get a great idea. I always keep my throw pillows on the couch and the blanket draped over the recliner, but the kids are always tossing them onto the floor. A basket next to the couch would be so much better! I don't expect I'll find a basket as cool as that fold up drum one, but I'm gonna try to find one that is sorta see-through like that so you can still see the fun colors/patterns of the blankets/pillows. I love it! The shelf and chandelier were from my booth! We will be back again in March. IAVM is one of our favorite markets! I'm only a couple of hours away in Columbus so please post schedule for upcoming markets. I am SO there! I need to grace that thrift store! How amazing are those finds?! I just realized this is in Indianapolis! I am only two hours from there.. okay definitely going!! Thank you SO much for the info! Wow! Love that booth too, good thing your were able to resist those balls, I know I wouldn't! Love your finds especially the basket! About once a month, I go to our local Habitat Restore. I recently bought a vintage metal medical cabinet super cheap! Well that was fun! Thanks for letting us come along. I like your wire basket. 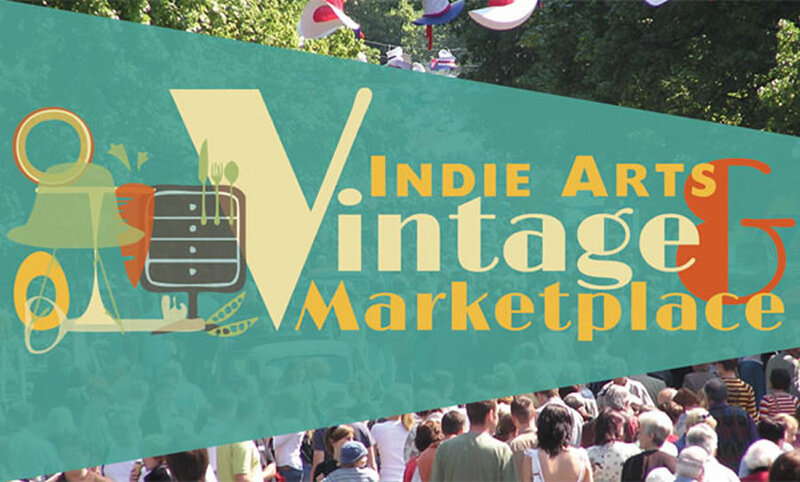 Sarah, would love to meetyou and other blog readers to attend an Indie Arts and Vintage marketplace event in March! I think your brass bowl is decorated in (with?) cloisonne. It is a very ancient technique and artists still use it today. I believe today most objects are done with enamel paints but back in the old old days precious stones and mosaic stones were used and inlaid paintstakingly into the metal to achieve the desired effect. $10 is a great price for such an intricate work, particularly since anything with dark blue in it these days is highly desirable. I would love to go to the mart in March.....I actually live close enough go! Looooksssss soooooo fuuuuun! OOOO! This makes me so excited for the Funky Junk Round-up that is coming up soon near where I live! Can't wait! How fun! I'll have to look into this. It would be something fun for my mom and I to do when I go visit her (she lives in Indy). So many great finds! Isn't it great to see how people envision what to do with all the different objects to recycle? I do so love to recycle and re-purpose! Thanks to your post, I went to the event last weekend. It was wonderful! It reminds me of the Country Living Fair that I have attended a couple of times (but with much, much better prices). I cannot wait to go the next one. Thanks again for telling us about this!